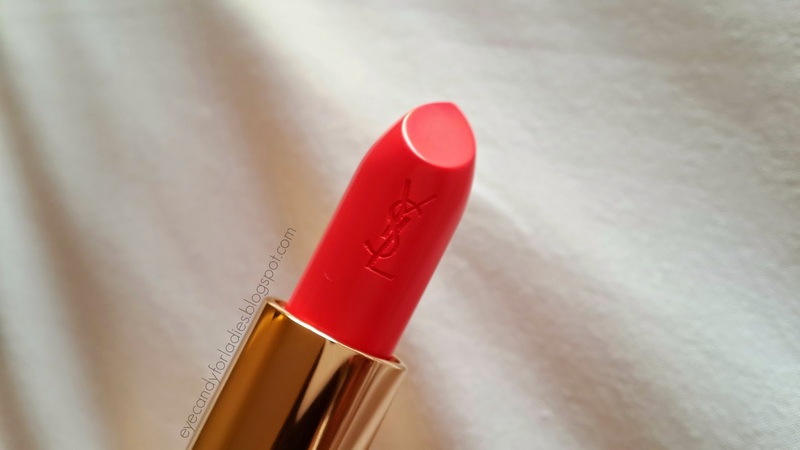 You may have know the lipstick's cult from K-Drama "My Love From the Star" which starring Gianna Jun as Cheon Song Yi that becomes hype for Asian women to impussively buy the similar product. 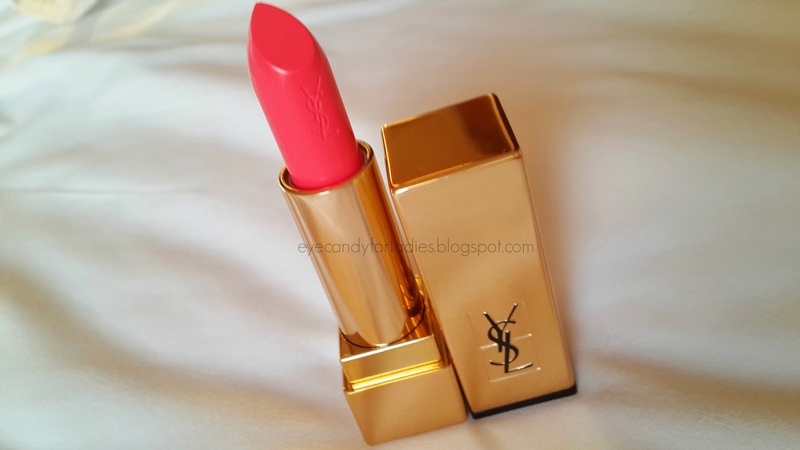 Yes, it's Yves Saint Laurent: Rouge Pur Couture 52 Rosy Coral. 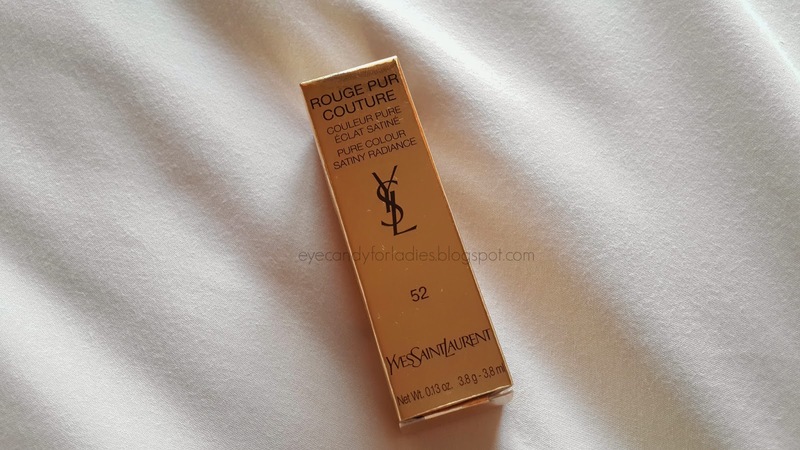 There's certain argument between what she wore on the drama; some said it's not precisely YSL but the cult holy worshiper (or certain amount of trend-follower) distinctly sure that it's unarguably YSL RPC 52. 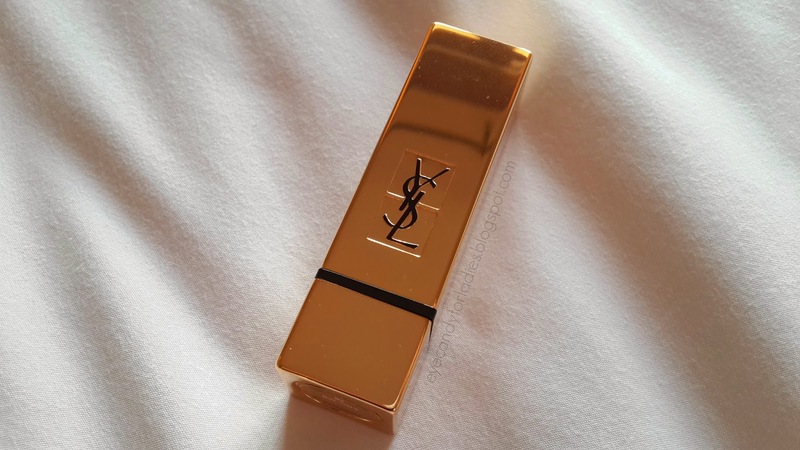 In the end, it's the vivid hot pink lip that should count as the fire-starter for Asian women to try ombre or bright shade lip like Candice Chen's wrote here *OMG, she's my make-up guru* and made YSL RPC 52 became sold out product in most of YSL counters. 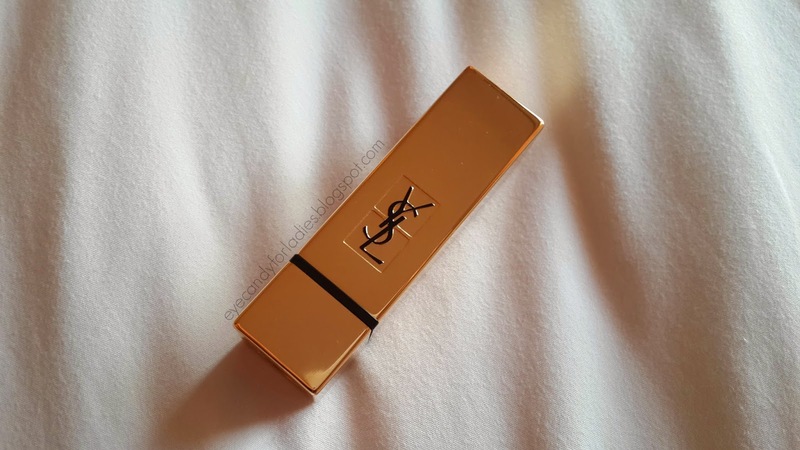 Furthermore, you can check the product from YSL beaute official website here. It's a precious gift from my mom (Thanks Mom <3 ) during her recent trip back to Indonesia. 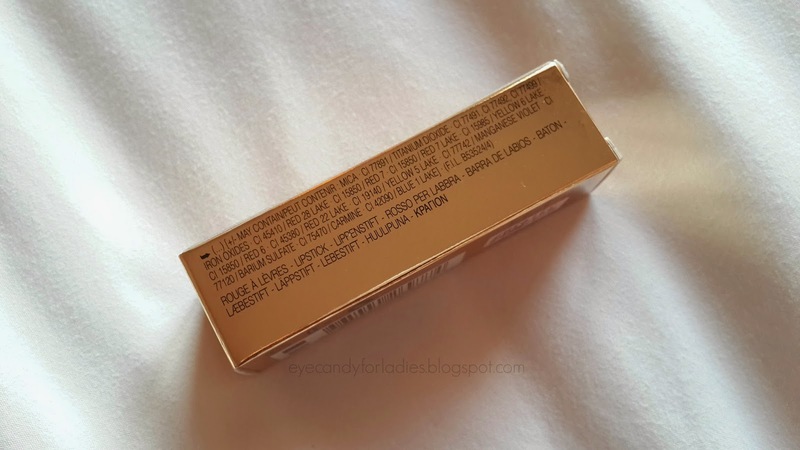 When she first look for it in South Africa DFS, she said she can't find Rosy Coral as I request (she's the kind of woman who doesn't follow the trend, even she asked me what do I want instead of creating a little surprise) but finally got it in Hong Kong Airport DFS. 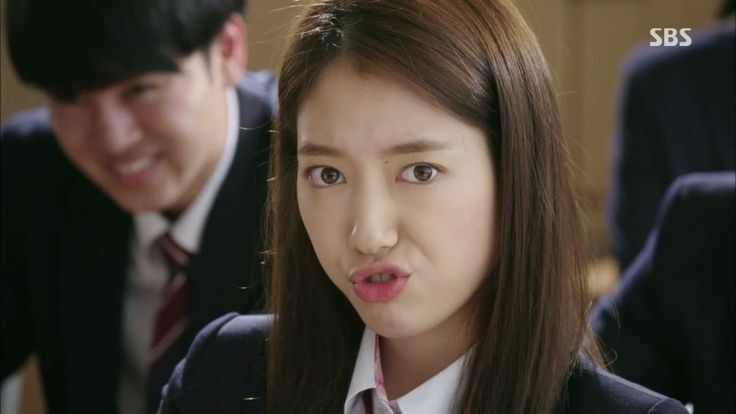 When she was asking the SA, the SA immediately response "Oh, that's a popular shade among young lady", and she was like "Eh?" 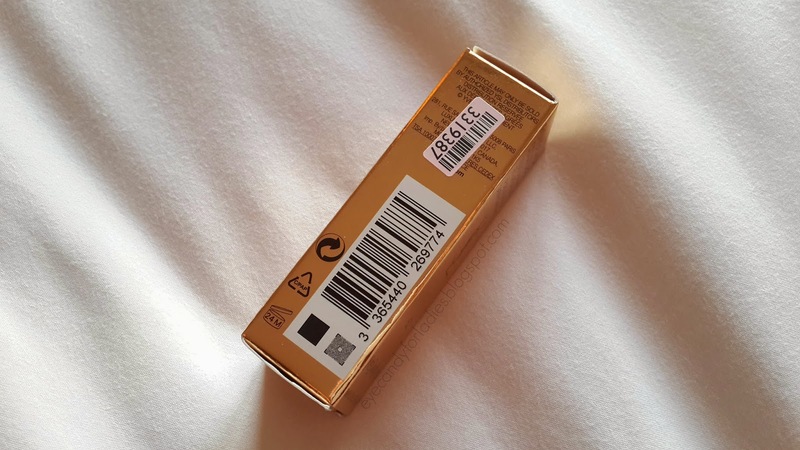 It's retailed for HKD 295 (or equals to Euro 35 as she calculated) with 3.8g / 3.8ml nett weight which she considered it as "more expensive than South Africa DFS which only retails for Euro 28, but unfortunately they don't have the shade you're looking for" and it makes me go "Meh." 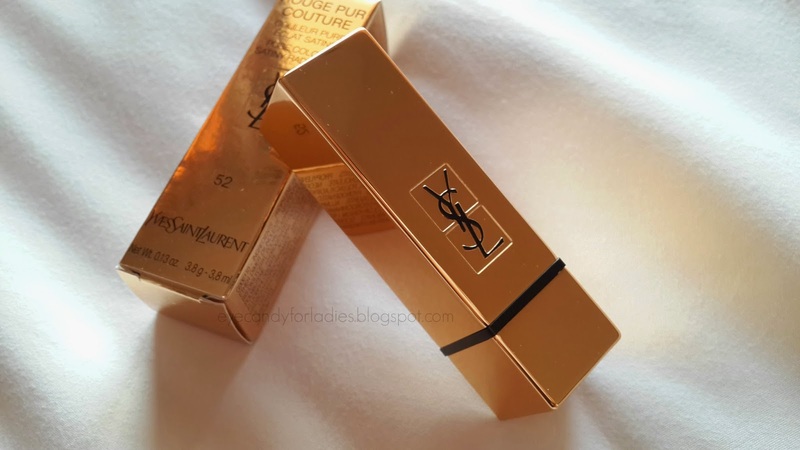 Enough for our family affair, the product is encased in an extravagant gold-theme tube with YSL logo imprinted in it. 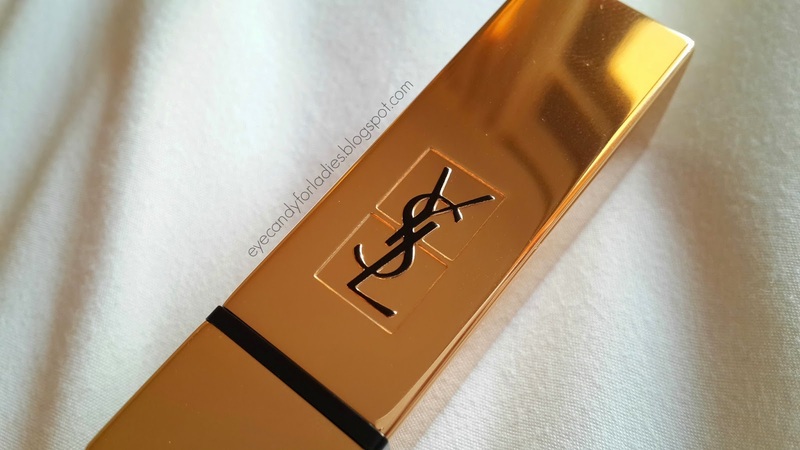 The tube looks sleek with squared gold case and black-font YSL logo at one side of the tube. 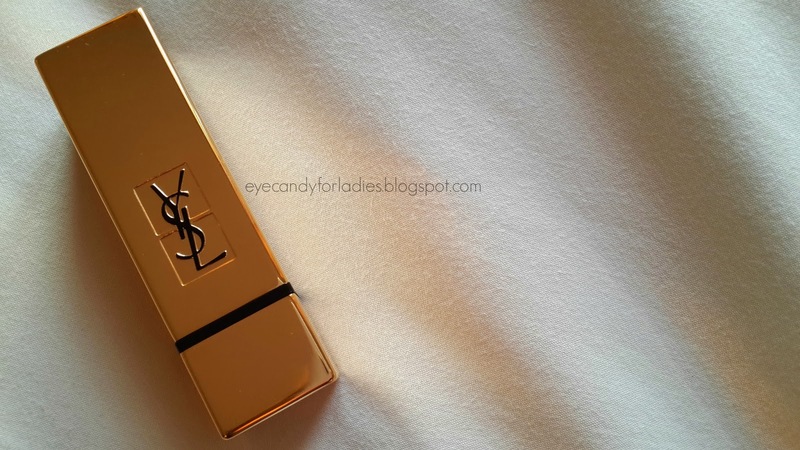 The bullet also has the YSL logo imprinted on it which more emphasizing the elegance of YSL beaute. Yes, I can hear you. 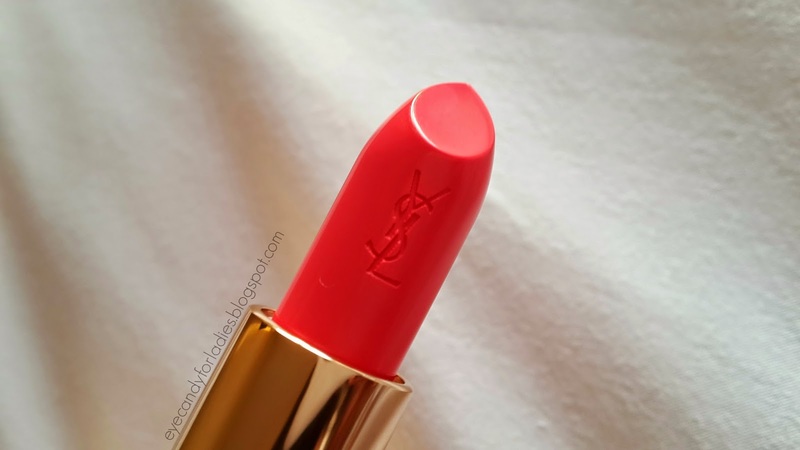 Rosy Coral looks gorgeous on the bullet. 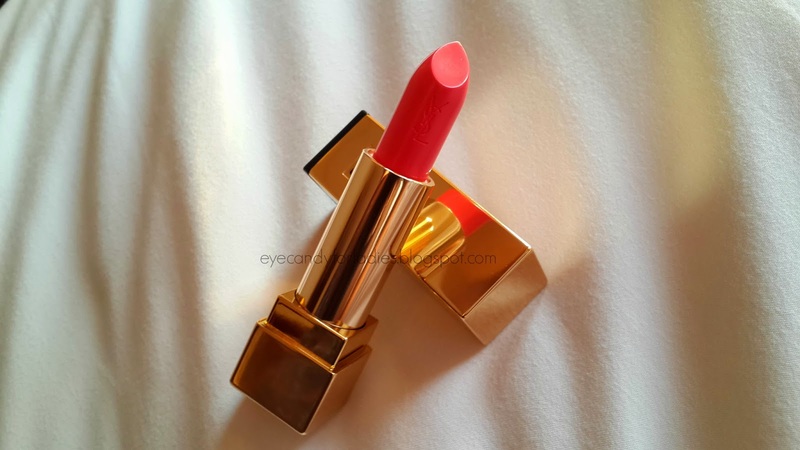 The color in the bullet is a delicate Coral-pink shade; a mix of Pink-Orange in a warm undertone with a hint of yellow. 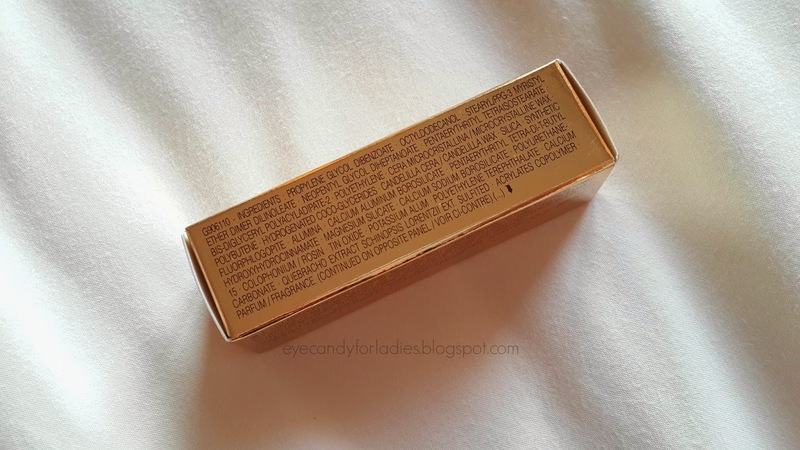 The pigmentation is opaque: a creamy-matte finish with a hint of shine, not gloss. 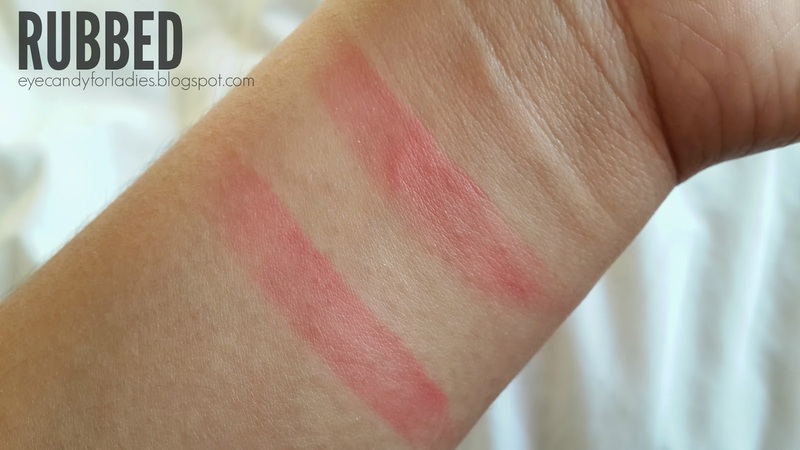 The texture is satiny and leaves a stain afterward; the coverage is medium to full body. 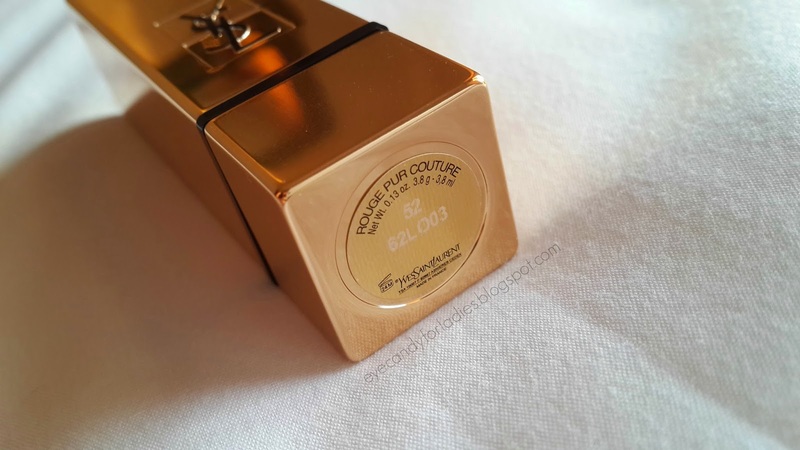 It has (hmm) a subtle flowery scent on it and lasts for up to 4 hours. 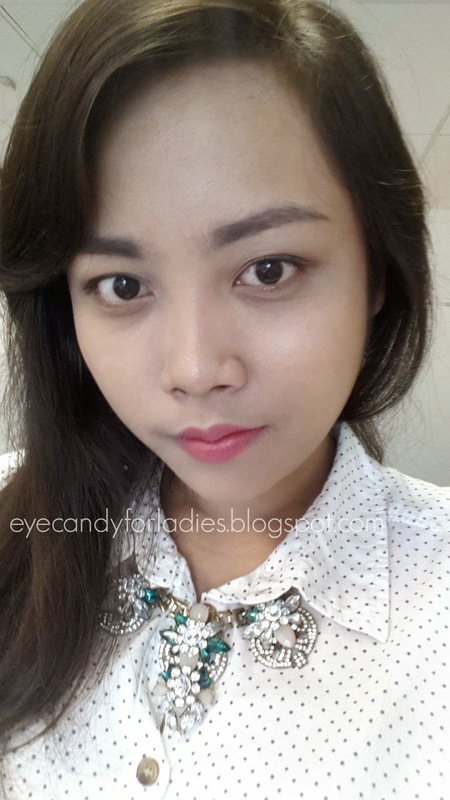 Sadly, it accentuates dry patches and also drying up the lip. 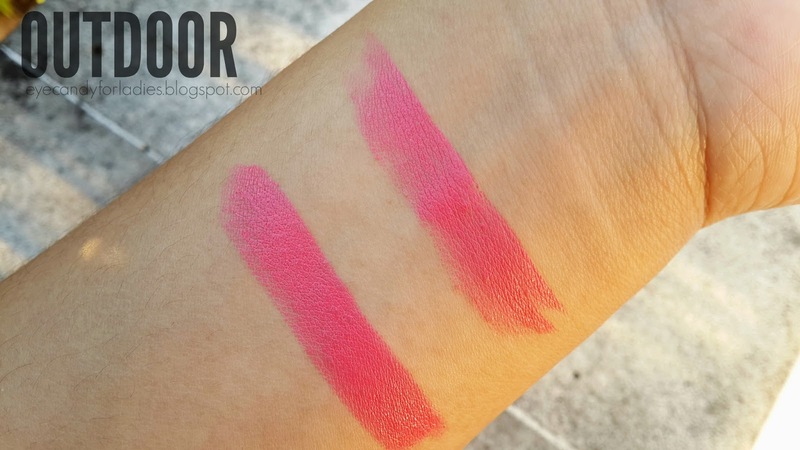 The shade looks similarly like watermelon shade on the bullet but the swatch will contrastingly show you. The swatch on the hand wrist is more neon than in the bullet. Yes, it's more vibrant and vivid. 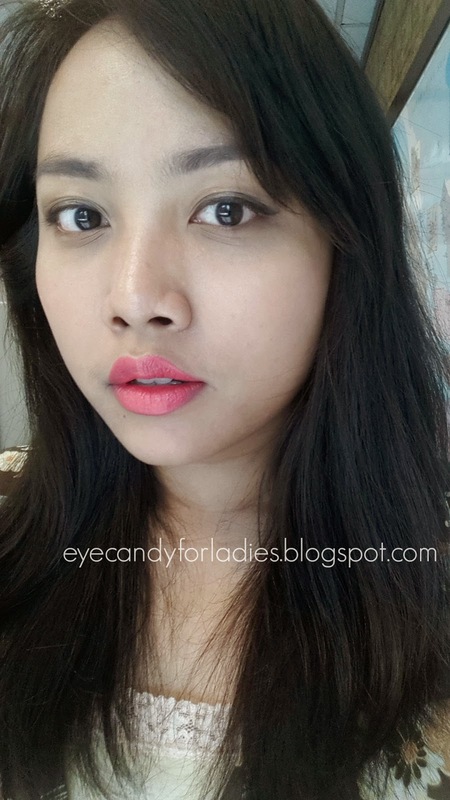 It does look Coral-ish but with more pigment reflector that can make your skin looks contrasted with the lip color. 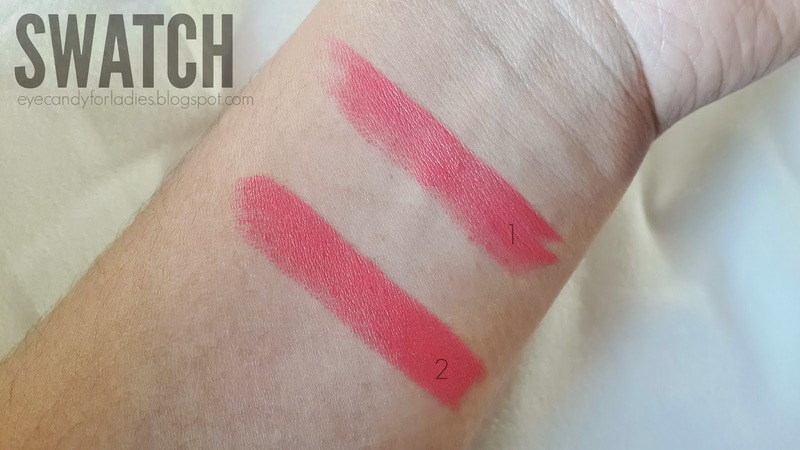 It covers the entire surface perfectly in just a single swipe (indicated with "1" sign above) and even more pigmented in 2 strokes. The color fades after rubbed using facial tissue but still leaves subtle stain on the surface.